Betsafe – Match of the Slots! Wager for World Cup rewards! Support the winning team to earn Bonus Spins! Been following the 2018 FIFA World Cup? Here is a special treat for all Betsafe players who will wager on selected games whenever the England team is in action. Today, they are facing Colombia in the first game of the knock-out stage and seeing them win would advance them to the quarterfinals. Betsafe is holding their own version of a match between two slots which will allow players to earn Bonus and BIG Bonus Spins. 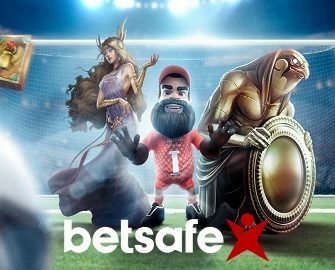 All players at Betsafe, get ready for a Match of the Slots that could reward you with up to 60 Bonus Spins and BIG Bonus Spins whenever the England team is playing at the 2018 FIFA World Cup. After winning advancing from the group stage, they are entering now the knock-out stage with only three more wins needed to make it to the final. Each team in the England games is represented by a slot. Players choose, who they think will win during each match and play the corresponding slot. If they get the result right, they win a Bonus Spins reward. Can’t decide which team will win? Play on both for a guaranteed reward. Wager £50 on the winning game and get 30 Bonus Spins, then wager another £250 on the winning game and get a further 30 BIG Bonus Spins, credited by 18:00 GMT the following working day. Bonus Spins are at £0.20, while BIG Bonus Spins are worth £1.00 each. 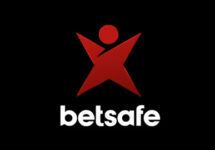 Wagering requirement is 35X winnings within three days, subject to the Betsafe bonus terms and conditions.